The Drivers Motorsport Series Trophies. Available in 3 sizes, 125mm, 155mm and 175mm high. 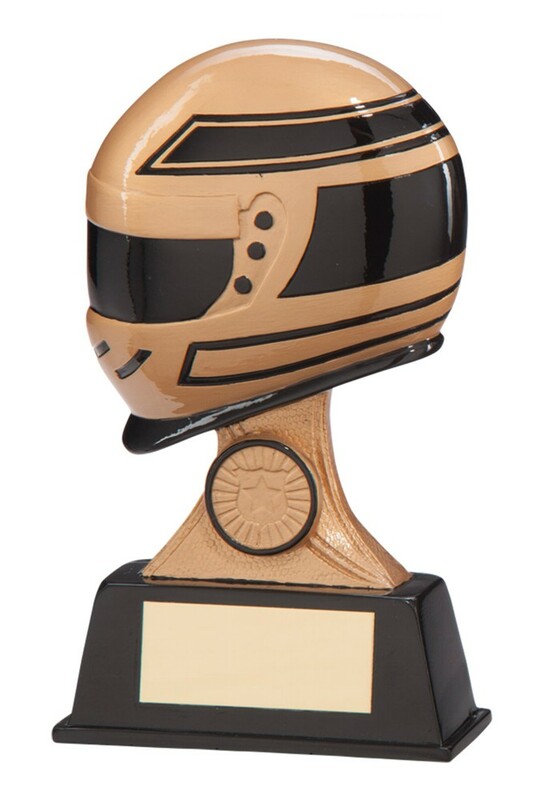 Gold racing helmet with black detail on a black resin base.